Excerpted from page 30 of The Care & Keeping of US. Published and copyrighted 2015 by American Girl Publishing. Illustration by Josee Masee. All rights reserved. Every girl is born with natural beauty. You might have big right eyes or a gleaming smile or glowing skin or flowing hair. Before you think about putting something on y our face, you need to appreciate the features that others are drawn to. We all have things we want to change about ourselves, sure, but we also have something that makes us stand out. Take notice of this part of you. Many girls wonder about makeup. When should they use it? Does it make them look better? Or older? Makeup does two things: it covers up imperfections, and it enhances beauty. But it looks best on a more mature face. When younger girls experiment with it, people almost always notice—and that’s not necessarily a good thing. Still, lots of girls like to try it, particularly at home for fun. Check with your mom (or dad) first. Makeup products can have chemicals that might cause skin reactions. 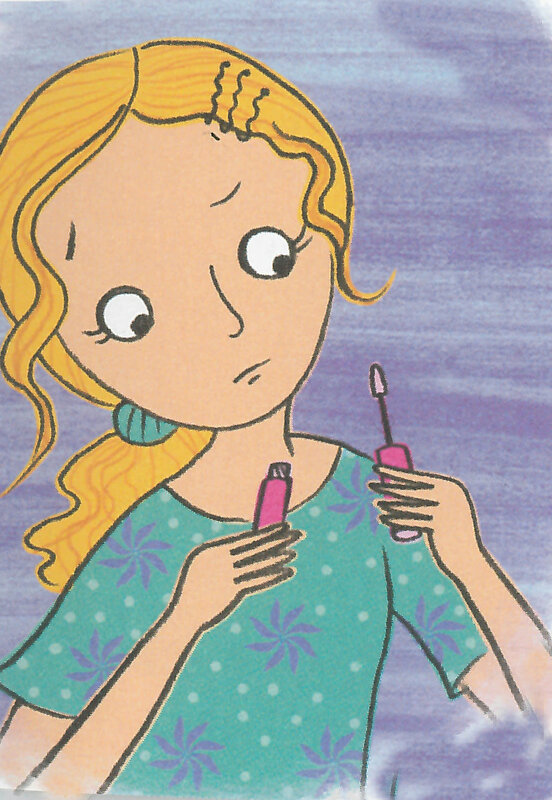 And some, such as lipstick and mascara, should not be shared, because they can spread germs. If you want to use makeup to cover pimples, get help. It can be tough to tell if a concealer actually hides what you want to conceal. You’ll also want to choose a product that is good for your skin. Some, for example, cause acne breakouts to worsen. And be sure to get into an excellent face-washing routine if you do use any products on your face. Your skin will thrive most when it’s clean.